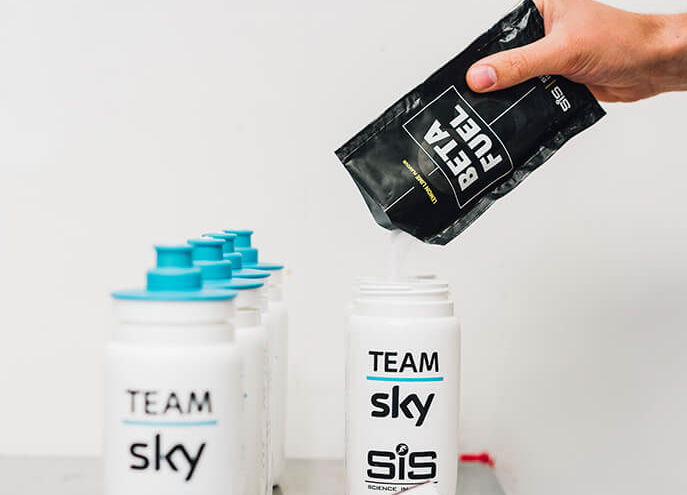 Nutrition company Science in Sport says Beta Fuel represents the holy grail of fluid replacement for endurance athletes: maximum performance without the gastrointestinal compromise. Beta Fuel claims it’s a “breakthrough” drink solution for serious athletes. And next month, Science in Sport (SiS) releases Beta Fuel to the public. 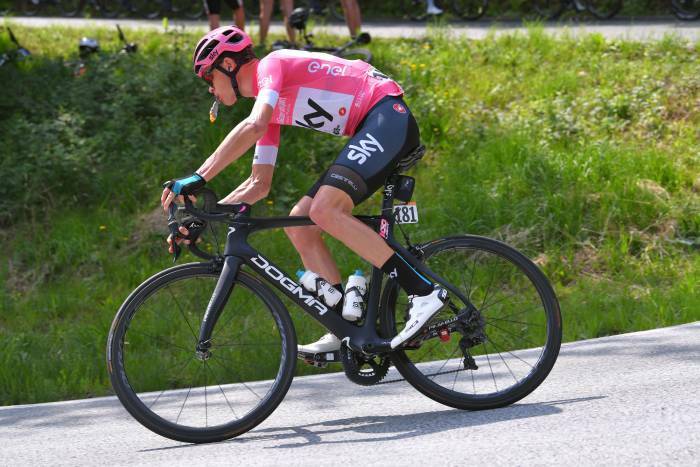 Three-time Tour de France winner Chris Froome, of Team Sky, has been testing the endurance fuel since late 2017. 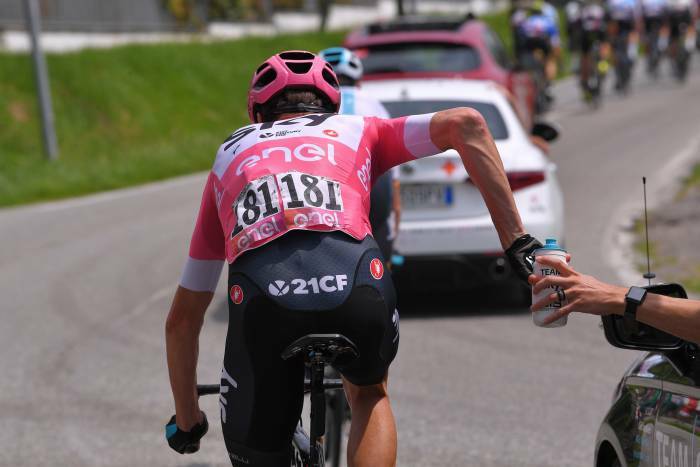 His team used Beta Fuel during its Stage 19 win at this year’s Giro D’Italia. 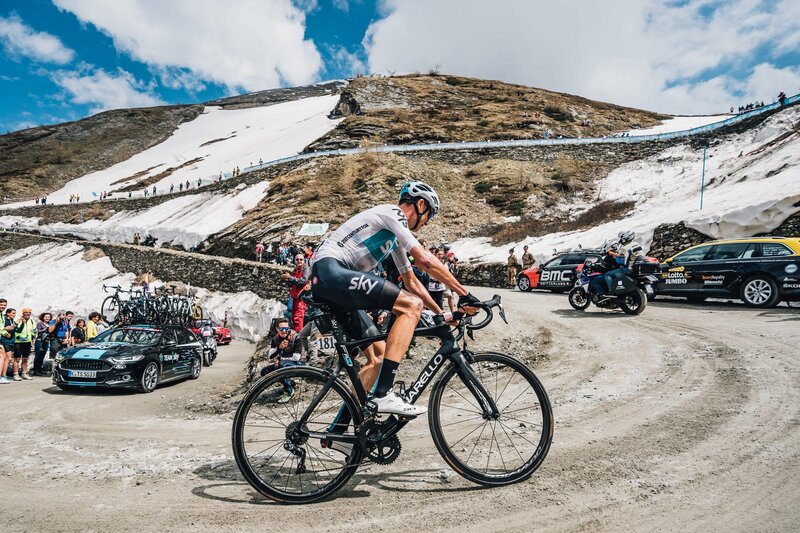 For an idea of its intended use, you wouldn’t use this stuff unless you were pedaling intensely for more than two-and-a-half hours at a time. Science in Sport is the official nutrition supplier for the professional bike team, along with USA Cycling and USA Triathlon. So take this all with a salt tab. “Having been involved in the testing of the product, I can certainly recommend the impact it has on performance,” Froome said in a SiS press release. Beta Fuel claims to solve a key problem for elite athletes: getting enough carbohydrates. This is hard to do in a concentrate without upsetting stomachs. The endurance fuel puts 80 grams of carbohydrate in a half-liter of water. That’s a massive load of fuel for most humans. For context, a one-ounce pancake contains about 8 grams of carbohydrates. For serious racers, this fuel packs the punch of 10 pancakes in a bottle of water. The brand said it figured out how to deliver this whopping load of fuel without making racers sick. They claim the maximum amount of carbohydrate — a 2:1 ratio of glucose to fructose in an isotonic solution — makes it easier on the belly. The added fructose is designed to help the body absorb 90 grams of carbohydrate per hour. That’s 50 percent more than the 60 grams per hour achievable with glucose alone. SiS is into rigorous testing. 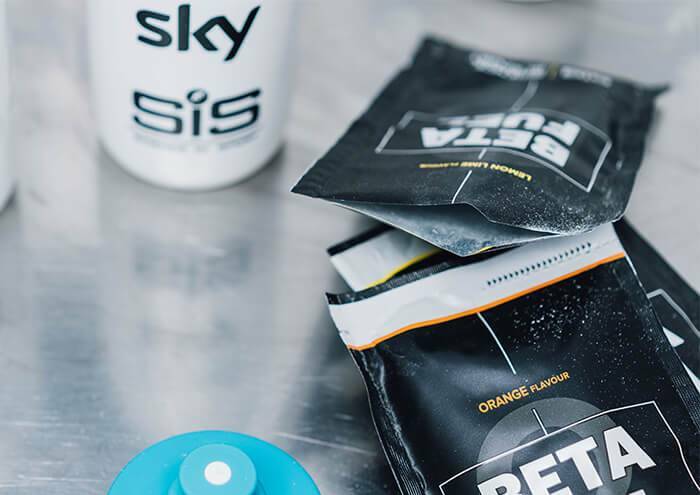 The brand gave Beta Fuel samples to professional endurance athletes on Team Sky, as well as 12 other sporting organizations, including British Cycling and Canyon//SRAM. It also set its sights on the triathlon and running communities. SiS is currently running performance trials on Beta Fuel with the Porsche Human Performance Centre. The endurance fuel has also undergone banned substance testing and carries the Informed-Sport certification mark. That means it’s ready for consumers, according to the brand. You can buy Beta Fuel at ScienceInSport.com starting on July 26. It will come in two “natural” pH-neutral orange and lemon lime flavors to start ($38 for 12 sachets or $45 for 15). Those dying for a sneak peek can preregister online now.